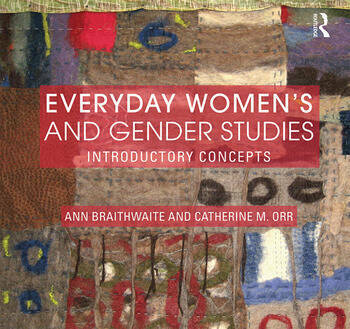 Everyday Women’s and Gender Studies is a text-reader that offers instructors a new way to approach an introductory course on women’s and gender studies. This book highlights major concepts that organize the diverse work in this field: Knowledges, Identities, Equalities, Bodies, Places, and Representations. Its focus on "the everyday" speaks to the importance this book places on students understanding the taken-for granted circumstances of their daily lives. Precisely because it is not the same for everyone, the everyday becomes the ideal location for cultivating students’ intellectual capacities as well as their political investigations and interventions. In addition to exploring each concept in detail, each chapter includes up to five short recently published readings that illuminate an aspect of that concept. Everyday Women’s and Gender Studies explores the idea that "People are different, and the world isn’t fair," and engages students in the inevitably complicated follow-up question, "Now that we know, how shall we live?" Ann Braithwaite is Professor and Coordinator of Diversity and Social Justice Studies at the University of Prince Edward Island. She is the co-author of Troubling Women’s Studies: Pasts, Presents, and Possibilities (Sumach Press, 2005) and co-editor (with Catherine M. Orr and Diane Lichtenstein) of Rethinking Women’s and Gender Studies (Routledge, 2012). Catherine M. Orr is Professor and Chair of Critical Identity Studies at Beloit College. Her work has appeared in Feminist Studies, Women’s Studies Quarterly, Hypatia, and NWSA Journal. She is co-editor (with Ann Braithwaite and Diane Lichtenstein) of Rethinking Women’s and Gender Studies (Routledge, 2012). She lives in Madison, Wisconsin.